THE RUSSIA HOUSE ARE PLEASED TO OFFER OUR UNIQUE AND EXCELLENT VISA SERVICE, PLEASE CALL US FOR FURTHER DETAILS, INFORMATION AND FULL INSTRUCTIONS. The Russia House has been procuring Russian Visas since 1970! To the uninitiated it can be a complicated and time consuming procedure and requirements can change at short notice. Russian Visa Procurement – Success On Time – Every Time! 1. Support / Invitation – from Russian Ministry of Foreign Affairs MID / Organisation or Company registered with the Ministry. 2. 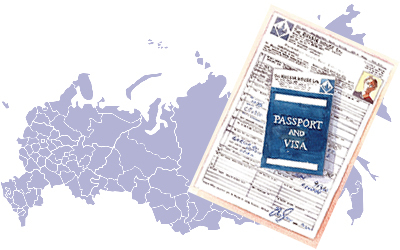 Endorsement of the visa – into the passport by the Russian consulate. Different types of visas require additional documentation, as do certain nationalities. We are happy to discuss the requirements with you at any time. Our experienced and dedicated staff have many years of knowledge and can ensure that you have the correct visa for your visit, very important and of course will ensure you have the correct documents. Single entry + Double entry 1 month or 3 months / Multiple entry for 1 year. These types of visa require a support from the Ministry of Interior or the Federal Migration Service in Moscow. The inviting organisation must be registered with either of these government departments to obtain the correct business support. For those that are visiting companies who do not hold this registration the Russia House will be happy to supply the invitations required. This procedure will take approximately 3-4 weeks to obtain. IT IS NOT ADVISABLE TO TRAVEL TO RUSSIA FOR BUSINESS ON A PURELY TOURIST VISA. Single entry visa from 2 days to 30 days. This type of visa is a concession allowed by the authorities for those people who do not have sufficient time to receive the full business support from the Ministry or Migration Service. The purpose of this visa is to allow you to travel on business without a full business support, but as with all concessions this type of visa should only be used once or twice per year, any more and the Consulate will ask you to provide an explanation as to why you are not travelling on a business visa. This invitation will take approximately 3 hours to obtain from Moscow, again the issuing company must be registered with the authorities to issue this particular type of visa support. The Russia House are able to supply this type of invitation. Single or Double entry issued according to hotel reservations made. This is for genuine tourists travelling to Russia. You will need to forward to the hotel you have booked a copy of the information page of your passport and they will send to you the visa support documents in the form of confirmation and hotel voucher which will include your passport details. If booking your hotel with The Russia House we will do this for you. 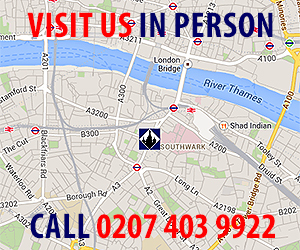 The Russia House are also able to provide TOURIST SUPPORT WITH NO HOTEL BOOKING REQUIRED. Single entry visa valid for up to 1 month. This visa is for visitors who have not booked hotel accommodation and will be staying privately. The support will be obtained by The Russia House to enable travellers to be able to REGISTER their visa if staying more than 7 working days. This is a very important part of the procedure. You will be asked for a password before continuing, please use our password above when you are completing your form, this will enable any amendments to be made if required. Please answer all questions clearly. If you need help we are happy to guide you through the process. 1. Passport. At least 8 months validity for single or double entry and (NOT FOR TOURIST) at least 18 months validity for multiple entry is required. 2. A Completed Visa Form. This must now be completed on-line, please click on the link https://visa.kdmid.ru/PetitionChoice.aspx. 3. One recent passport size colour photograph, with a light background. This must be different from your passport photo. 5. Support / Invitation. This must be obtained from a Russian company that is accredited with the Ministry of Foreign Affairs, or from The Russia House Ltd. The Russia House Limited and partners are an accredited agency and we can provide support/invitation for all types of visa. This is a requirement for all Russian Visas. Once we have received all the required documents and the correct type of visa has been applied for all charges will be invoiced and payment can be made by BACS, Debit Card, Cheque or Credit Card. Once you have gone through the procedure to obtain a visa (made easy for you by The Russia House of course) you will still have to contend with the registration of your visa once you arrive in Russia. a) You are staying in a hotel – the hotel handles this formality on your behalf. b) You are staying 7 working days or less – Saturday and Sunday & Russian holidays do not count. You must register if you are staying longer than 7 working days and you are staying with friends, relatives or in a company flat. You must register at the local Federal Migration Service branch or the post office (the best option). Your host/landlord must accompany you and take their ‘internal passport’ and you must take your passport/visa with you. Registration cost varies but is around €35. Your host/landlord will be given a document/receipt that should stay with your passport while you remain in Russia as proof of your registration. On the day of departure you must give the registration document/receipt back to your host. Within 2 working days your host must post or return this to the Federal Migration Service. When travelling outside Moscow, keep all travel tickets (bus, train, air) as proof of less than 7 days stay in each city. Petrol station receipts also serve as proof. Local Police officers like to enforce a random system of fines if you cannot prove registration – this is illegal by Russian law and you should firmly remind the officer you are not committing any violation of the Russian immigration law and you are a strong believer in the Russian Federation’s anti-corruption stance as championed by Vladimir Putin. If you have not registered then the advice from well-seasoned travellers to Russia would be to plead ignorance and accommodate an officer’s reasonable request as an easy opt out. In order to keep this information updated and useful we would appreciate hearing of any unusual registration experiences. It is strongly recommended that you have travel and medical insurance in force in order to apply for a Russian Visa.